When I visited the Pennsylvania National Fire Museum in Harrisburg Pennsylvania, I wasn't sure what to expect. From the outside it looks like your typical fire house, but when I stepped inside, I felt like I stepped into the past. The first thing I saw when I entered the bay area were beautifully restored fire apparatus from the early 1900s. 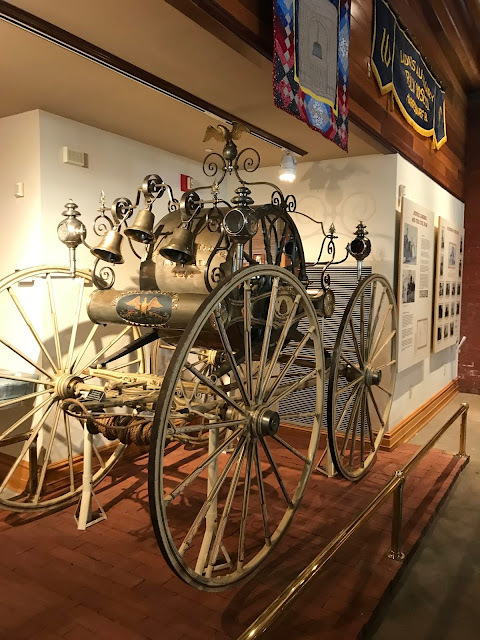 These pieces of apparatus looked more like works of art than fire fighting machines. 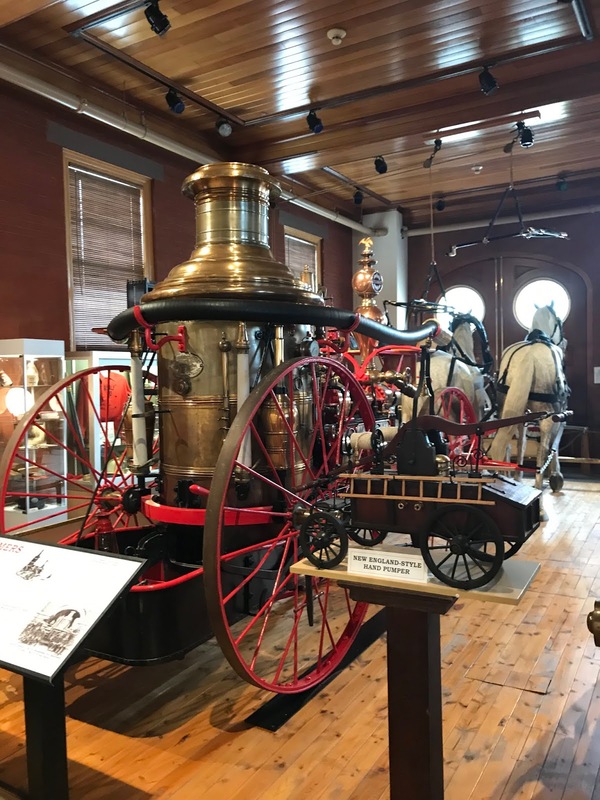 I can only wonder how they managed to put fires out with the equipment they used in those days. These horse drawn pumpers and hose trucks with large wooden wheels are just a few of the pieces that are on display. 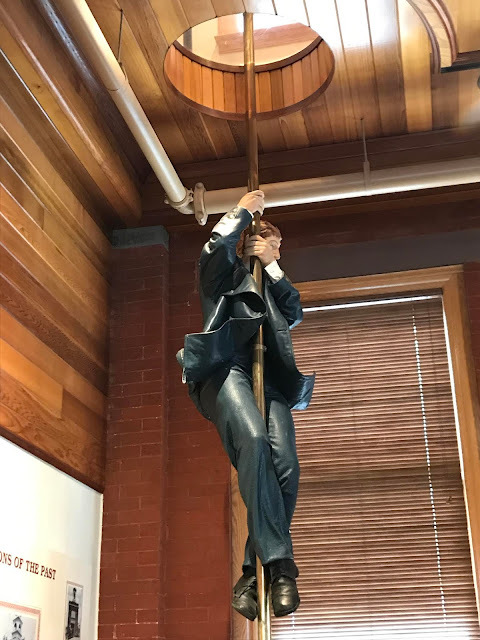 There was a statue of a fire fighter sliding down the pole. A sight that was common in earlier days. Some firehouses still have poles like this. I can only wonder if the statue was placed there to prevent people from attempting to slide down the pole...people like me. 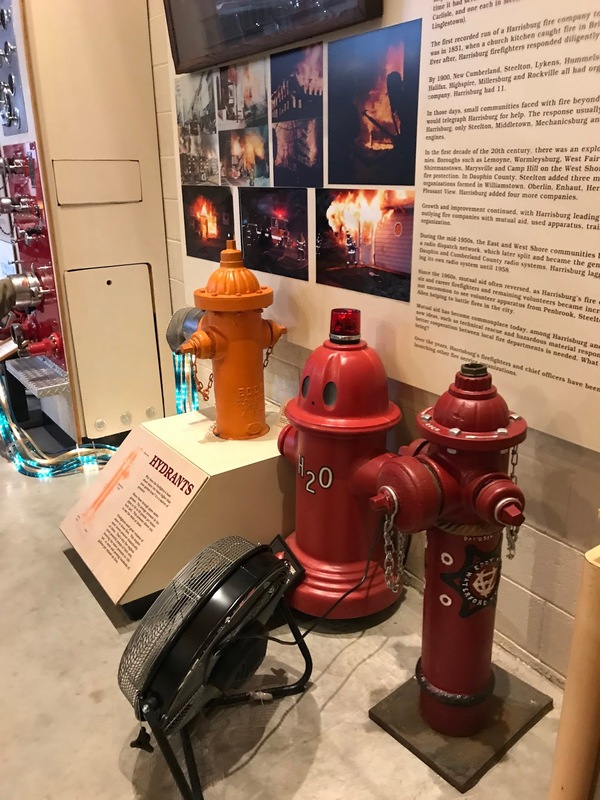 Also on display were many artifacts, including old fire hydrants, old turnout gear and patches from different fire houses around the world. 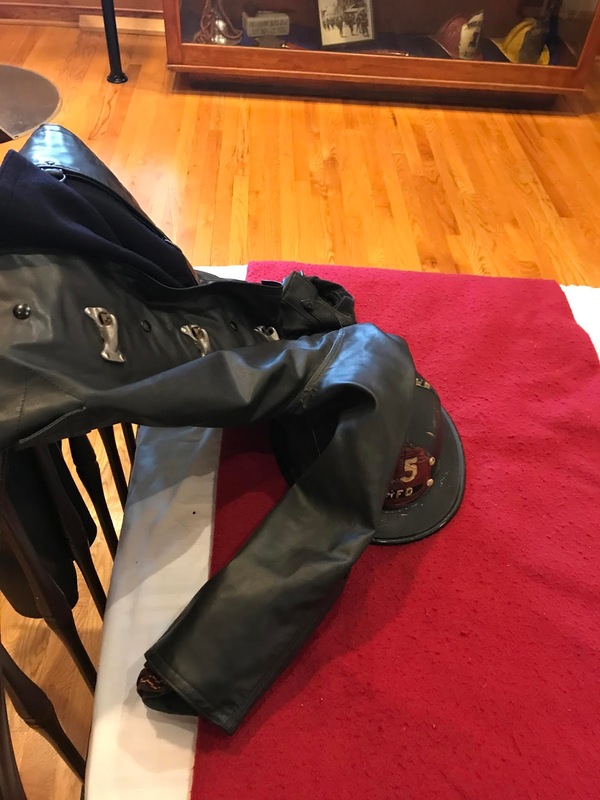 Did you know firefighters use to wear leather helmets? While some still do, most now wear heavy duty constructed helmets made of lightweight polymers and other plastics. The old control room was pretty amazing. All of the levers, lights, buttons, telegraph machines and more were so interesting to see. They even had old recordings of large fires in the Harrisburg area. We got to set off the fire alarm and see how the lights and bells were set off. It was a fun experience for me. The telegraph tape started to move and all of the lights began to flicker. Large bells began to ring over and over. It really got my adrenaline pumping. 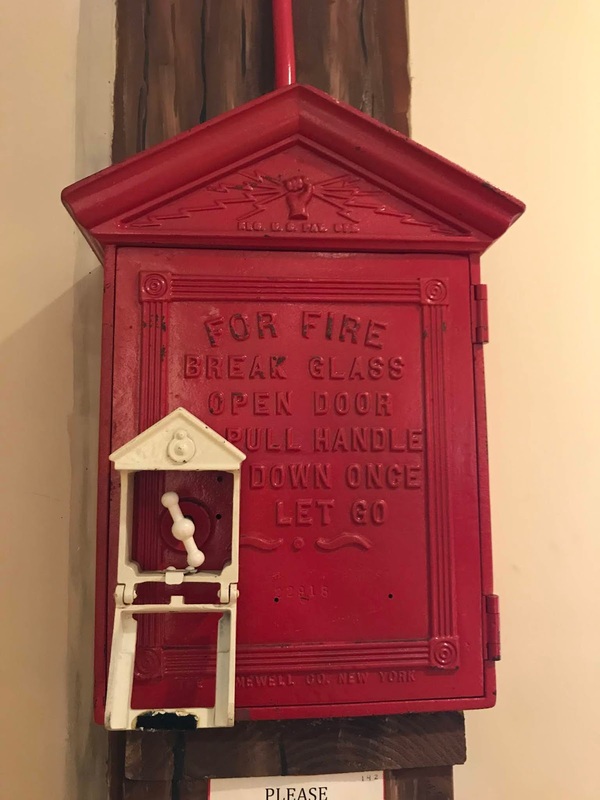 This is an old fire box. These use to be found on corners in most neighborhoods. If there were a fire, people would run to the firebox and pull down the lever. This would summon the fire department to the location of the box. 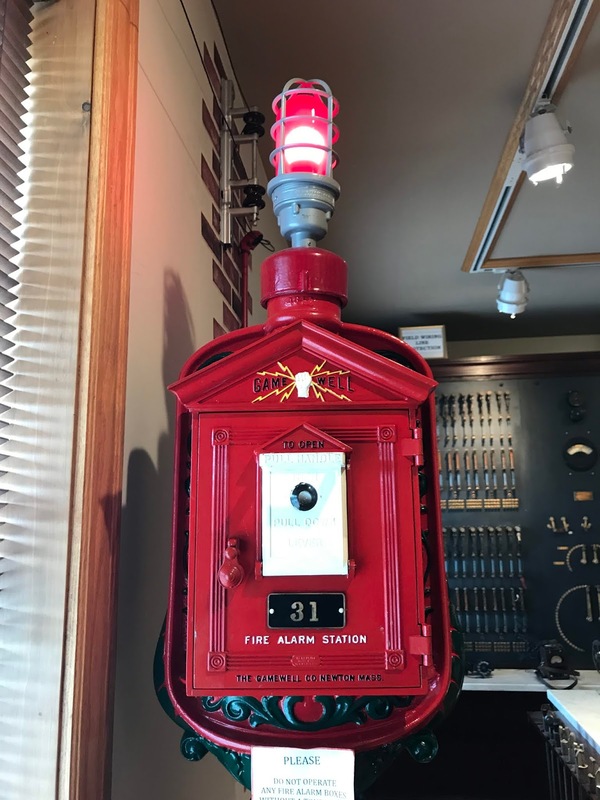 Did you know that the first telegraph fire alarm system was developed by William Francis Channing and Moses G. Farmer in Boston, Massachusettes in 1852? 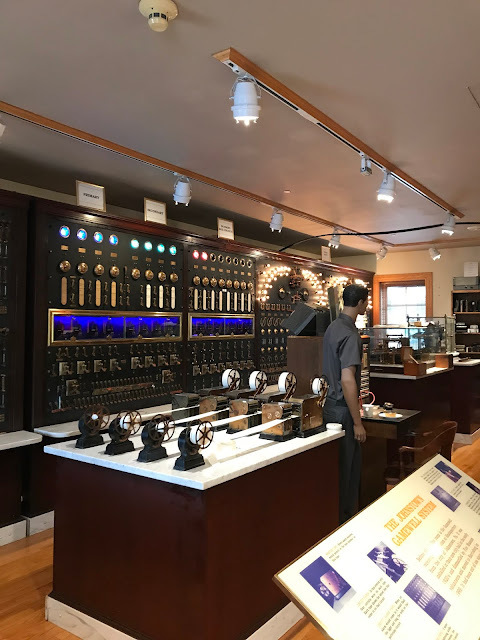 A couple of years after they applied for a patent for their "Electromagnetic Fire Alarm Telegraph" John Gamewell of South Carolina purchased the regional rights to market the fire alarm telegraph. He later obtained the patents and full rights to the system in 1859. After the civil war the patents were seized by the government and John F Kennard bought them in 1867, and returned them to Gamewell and formed a partnership with him called Kennard and Co. Together they manufactured the alarm systems. In 1879, The Gamewell Fire Alarm Telegraph Co. was formed. His alarm systems were installed in 250 cities by 1886 and 500 by 1890. By 1910 he had gained a 95% market share. 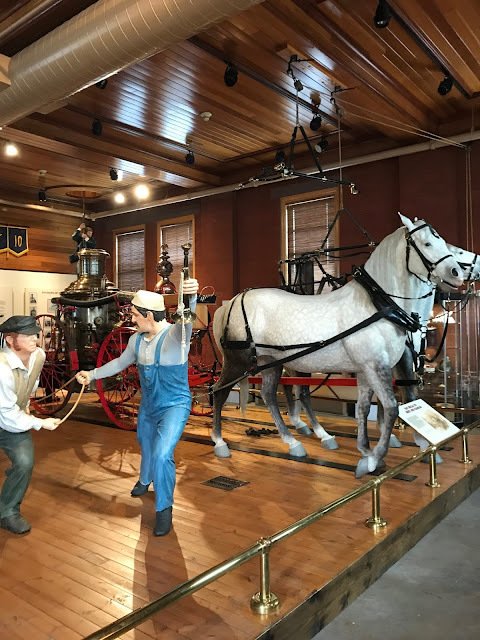 In earlier days, fire fighters and people of importance wore fancy leather hats in parades and at special events. 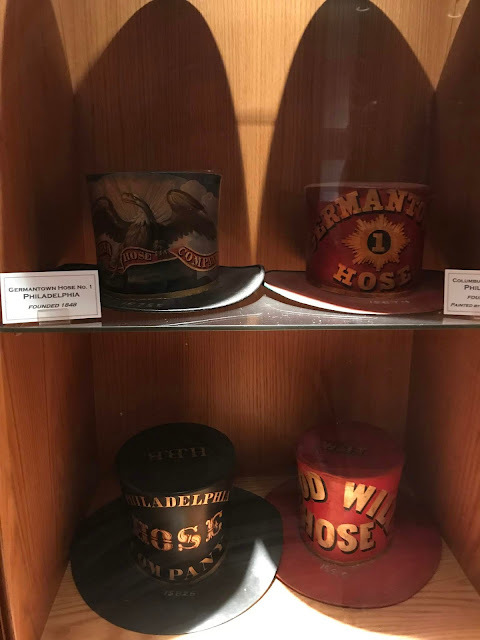 Many of these top hats were on display at the museum. They were beautifully painted. 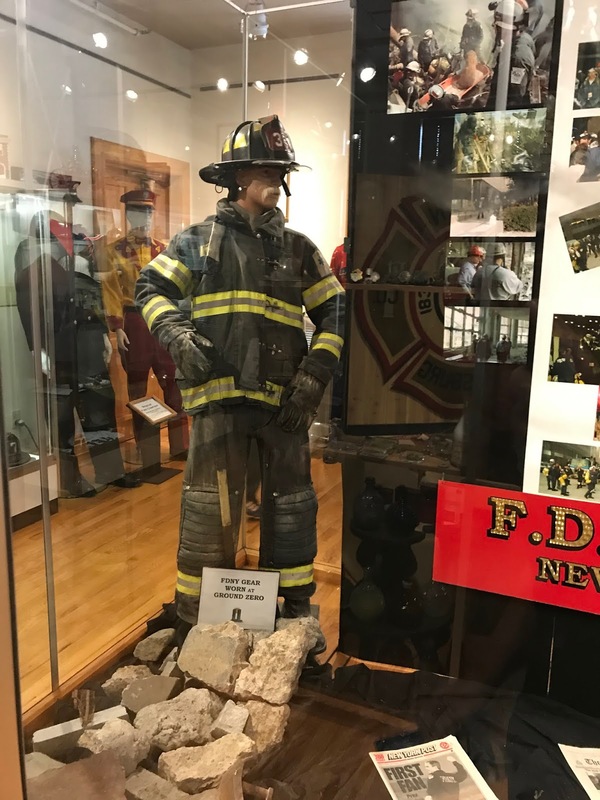 There was a special section of the museum that paid tribute to those who lost their lives on 9/11. I got to see an old silent movie called "Morning Alarm" which was filmed by Thomas Edison. You can view this film on my Instagram page. There is a nice gift shop in the museum filled with all types of fire related items that you can purchase. There are also more modern displays as well. This really is a beautiful museum and I am so glad we stopped in. If you are ever in the Harrisburg Pennsylvania area, I recommend a visit to the Pennsylvania National Fire Museum.